I was intrigued when I heard Steve Hamilton had a new series coming out. I've been enjoying his McKnight books forever. Nick Mason manages to leave prison because of the intervention of criminal kingpin Darius Cole. As part of this deal he will have to answer his new cell phone at any time and do what Cole orders him to do. At first I figured he would do some kind of detective work, allowing him to stay a heroic character. I was wrong. He's used as a hitman, killing people (although criminals) in cold blood. Still we are able to like him, partly because he was kind of suckered into this and the fact he deeply loves his child and protects his friends. 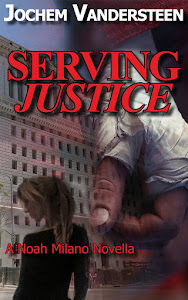 During the novel we follow his comeback to society, meeting a new love, struggling not to meddle to much into the life of his daughter and clash with the cops who think he's their ticket to nabbing a killer. 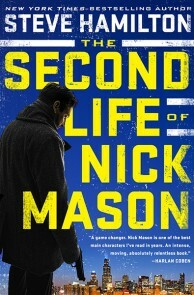 Nick Mason is the closest thing to Richard Stark's Parker we can find in novels right now and I love him. I have to mention that Steve's writing is better than ever in this one. It's a bit tighter and cleaner than it used to be. The plot a bit more fast-paced. Yeah, I guess he managed to top his Alex McKnight series!